While the Programmatic Needs of an organization should drive the project, the parameters of the Budget are a key component…and cannot be ignored or overlooked at any time in the journey. 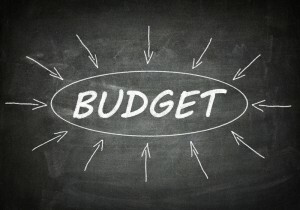 The Owner’s budget, if known, should be discussed very early in the discovery process. After the first sketch, a “ballpark” budget, based on square footage data, can be compiled. After the final sketch and scope of work is created, a much more accurate budget can be calculated. This should not be based on square footage data, but an estimator’s “take off” of the sketches with the assigned materials and finishes, with allowances as required. This final budget from master planning is the basis for many decisions…it should be the most accurate, current data possible based on this specific project. As the project then proceeds with Construction Documents, any “Scope Creep” can be identified with its impact to the last budget. If all goes according to plan, the final bid amount will be no surprise to anyone…and construction can begin.